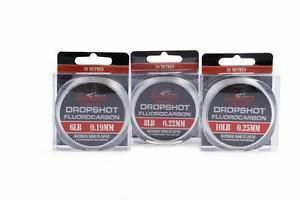 The Korum Snapper Drop Shot Fluorocarbon has been carefully chosen to offer maximum knot strength. The non-kink formula that beds down beautifully, and the non-glare finish that’s invisible to fish, makes this the perfect leader material for modern light lure fishing. Being made in Japan, you can expect thisto be of the highest quality. Supplied on a 50 metre spool.